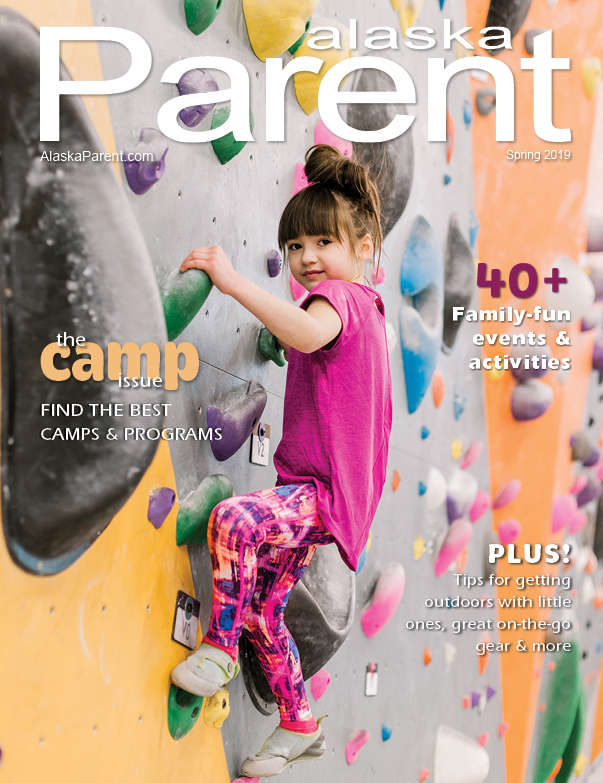 Alaska Parent | Summer Camps & Outdoors | Get Outdoors! 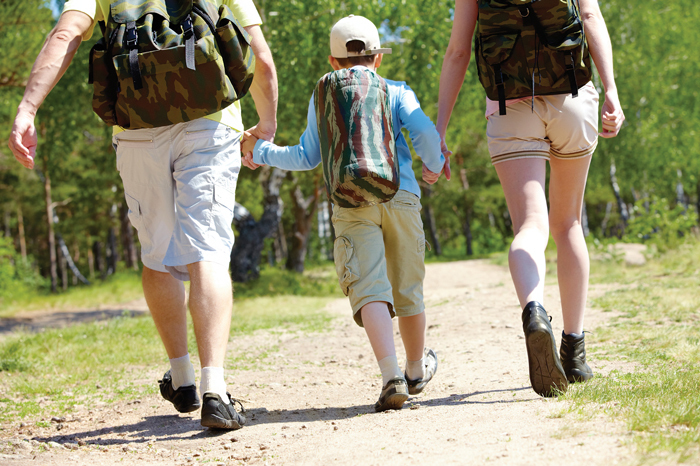 By Heidi Smith Luedtke, Ph.D.
It’s summertime, and kids and parents alike are drawn to the great outdoors. And that’s a good thing. Because loads of recent research shows the benefits of spending time in nature. Here are some highlights. Better Health. Inactivity increases your risk for physical disability and disease, yet 28 percent of American adults and 19 percent of kids age 6 to 17 are inactive today. People who spend more time outdoors are more active on average than people who spend less time outside. Ride bikes or start jogging to jumpstart your fitness routine. Mood. Research consistently shows outdoor exposure improves mood and protects against depression – and you don’t have to break a sweat to reap the benefits. Even low-intensity outdoor activities, such as walking or gardening for 20 minutes, can be beneficial. 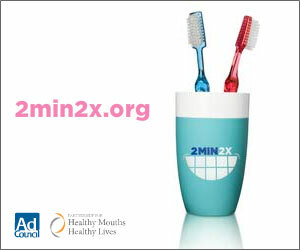 In fact, the biggest increase in mood and self-esteem occurs in the first 5 minutes. So what are you waiting for? Putter around in the yard to feel instantly happier. Sunshine. Ultraviolet rays from the sun cause the body to produce Vitamin D, a substance that is hard to get from food sources alone. This important nutrient is crucial for calcium absorption in the body, and low levels increase your risk of fracture and osteoporosis. Studies also link Vitamin D deficiency to asthma, cancer, diabetes and cardiovascular disease. Soak up some rays to make more D. Experts say 5 to 30 minutes of sunshine two to three times a week should be enough for most people. Body Image. If Zumba makes you feel more like a three-footed klutz than a Latin temptress, you’re not alone. Full-frontal mirrors and the presence of other people cause gym goers to focus on how they look while exercising instead of what they’re doing. In the natural environment, you’re better able to focus on how it feels to move your body and what your body can do. What’s not to like about that? Renewed Focus. Research conducted at the University of Michigan shows the relaxed quiet of outdoor environments allows our brains to recharge. In nature – where we aren’t bombarded by text messages and to-do lists – we’re able to tune in to subtle details like budding leaves and animal paw prints. The shift in stimulation increases people’s ability to focus attention on work-relevant technical details and improves memory. Where will you explore today? Click on one of the 16 refuges on the map for trip planning ideas. Find a list of Alaska state parks and info about hiking trails, public use cabins, outdoor safety and more. Enter your zip code and let the site’s Nature Finder tool quickly and easily find the best nature locations near you. Fewer Symptoms of ADHD. A national survey of more than 400 parents of children with ADHD found those who regularly played outdoors in unstructured green spaces like parks and woodlands had less severe symptoms than kids who played indoors or on outdoor playgrounds with man-made structures. A nature walk or trip to the beach may be just what the doctor ordered. Enhanced Creativity. Researchers from the University of Kansas found backpackers who spent four days in nature – unplugged from electronics – scored a full 50 percent better on a creative problem-solving test. It’s not clear whether time in nature or time out from technology – or a combination of both – was responsible for this impressive result. Lesson for you? Leave your cell phone at home. Or at least turn it off. Less Stress. Outdoor environments aren’t created equal. Studies show a 50-minute walk in the park is more restorative than walking the same distance and duration on city streets. People who walked in nature reported feeling less time pressure and more positive feelings than urban walkers did. No matter what you do in the great outdoors, make sure to enjoy it with all your senses. Breathe deeply. Listen for birdsong. Look at cloud shapes. Smell the roses. Feel the ground beneath your feet and the wind in your hair. Claim your place in this big, wide world. Nature is always waiting.